2010 has really been a good year for sbtrkt. The always masked and anonymous Londonbased producer has appeared to come out of nowhere to become the preferable choice of remixer for everyone from M.I.A. and Gorillaz to Goldie and Basement Jaxx. Rumors has him down as Aaron Jerome, a producer first released by LTJ Bukem, but we haven't been able to confirm that. 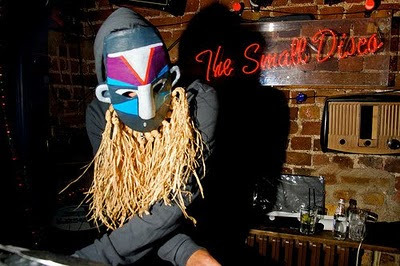 Sbtrkt has made numerous appearances at dubstep hubs such as Rinse, Fabric, Forward and has on heavy rotation on BBC 1xtra by Mary Ann Hobbs, Benji-B and Gilles Peterson all year. Eventhough his remixes are good it's his own tracks that really stand out. Genious broken drumpatterns, deep subbass and thick layered harmonic tracks that make us stop in our tracks. New Jack tribute from New Jack Kings!